We send daily dispatches to our home base during all our Xpeditions. The dispatches are posted on the Summit Xperience Facebook page usually within minutes of it being sent from the mountain. 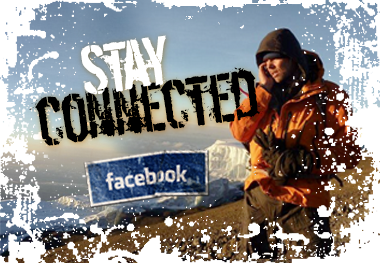 Join the Summit Xperience Facebook page here. Continually inventing (and re-inventing) the most functional and innovative gear available. With over 30 years of experience, the Forty Below® line of products continue to be trusted and used on the most challenging of cold weather expeditions. We are some of the most knowledgeable, caring trekking guides in Nepal-India and try harder than almost anyone to make sure you have the best experience. No other outfits run exploratory trips like we do, these are real pioneering efforts. No other company runs Ladakh and Zanskar as well as we do. We will be totally honest with you, we enjoy what we are doing!